Communication is an integral part of our lives. It is important to keep in touch with family, friends, business partners, follow the news, etc.. Modern progress makes it possible to do it all over the Internet. The development of technology has led to the emergence of many convenient and useful things. for example, is now widely used, such uncomplicated programm, how ICQ. it allows you to, using a computer, laptop or modern phone, easy to talk for days on end. You can exchange messages, but it is also possible to communicate through video. To work with this program, Need to know, how to get the number of ICQ. This program is the fastest way to exchange messages over the Internet. To begin active use ICQ you need from the official website of the company www.icq.com download the installation program on the computer. Come up with a complex password, fill in the "captcha" and send. At the end of the specified e-mail came a letter with a proposal to confirm the address. After executing the above instructions in the e-mail will be sent a message of congratulations on the completion of the registration in ICQ. There is also a proposal to specify personal data. 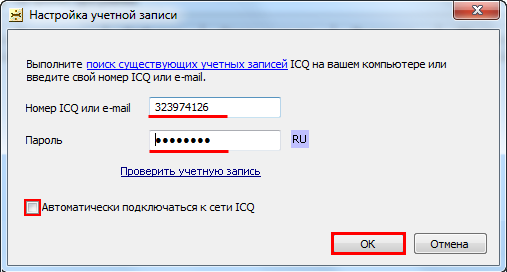 The next option, how to get the number of ICQ, It is to register directly from the official site. In both cases, you can log in from any computer through ICQ-agent, filling in the password and e-mail address, and communicate with loved ones. Quickly, without filling in forms to get a personal UIN can be via SMS. For this we need to send SMS with text «regnomer» to the number 1121. Reply SMS message will contain a personal UIN and password. This post is a paid (Tariff specific mobile operator). How to get the number of ICQ, consisting of various combinations of digital and a different number of digits? You can buy it through the online store, where you can choose the "golden" numbers.